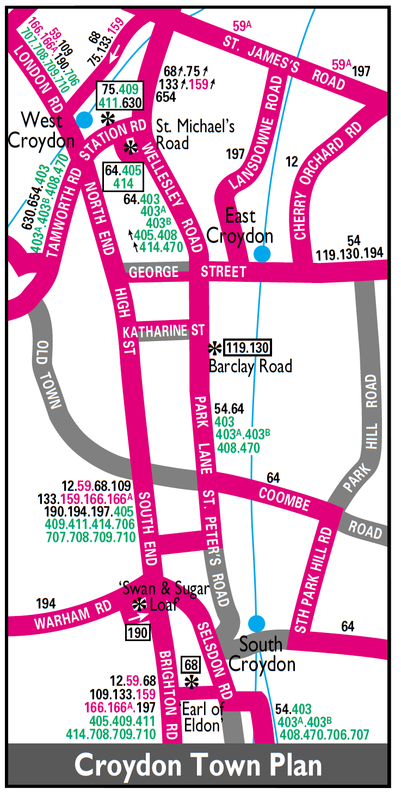 Withdrawn Mon-Fri peaks between Thornton Heath Pond and Camden Town. Croydon (TC) converted to RT operation. Streatham (AK) converted to RT operation. Thornton Heath (TH) allocation added. Thornton Heath (TH) allocation withdrawn. Thornton Heath (TH) allocation re-introduced. Streatham (AK) and Thornton Heath (TH) allocations withdrawn. Diverted at St John's Wood via Rossmore Road instead of St John's Wood Road. Diverted via Westminster Bridge instead of Lambeth Bridge. 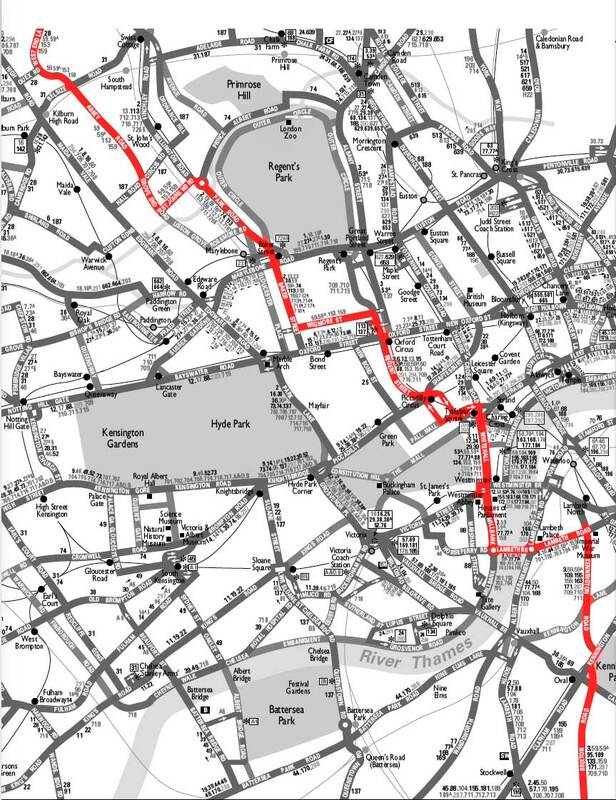 Streatham (AK) allocation converted to Routemaster operation. Daimler doored operation introduced at Croydon (TC).